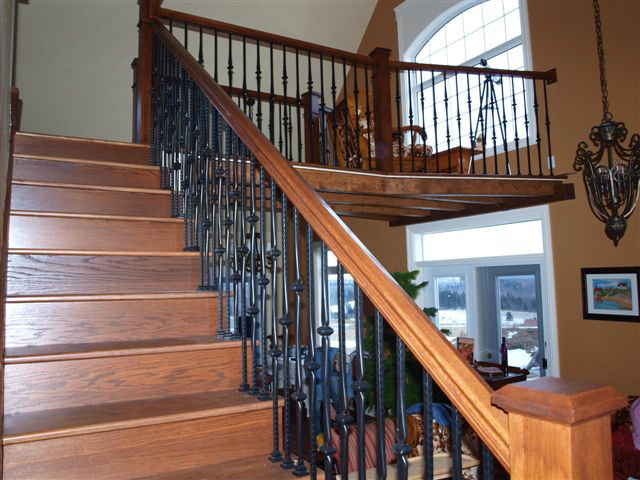 The craftsman collection of square newel post offers a contemporary look of modern components. Square newels give that straight line / simple look which is sure to please the eye. 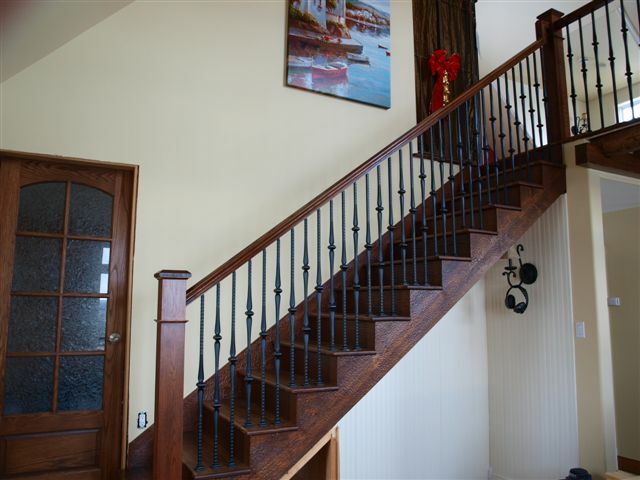 Combine the square newel post with a full square baluster or traditional baluster ( the plain metal baluster or knuckle metal baluster ) and create a highly sought after non-busy look! 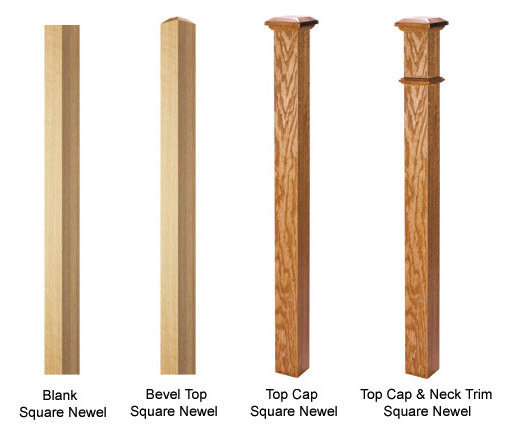 Shown below are 4 examples of craftsman square newel post we manufactuer ( chamfered and fluted post can be done also ). Please go to our 1-1/4 in. Square Balusters page to see the matching balusters to Craftsman Square Newels ( note: 1-3/4 in. 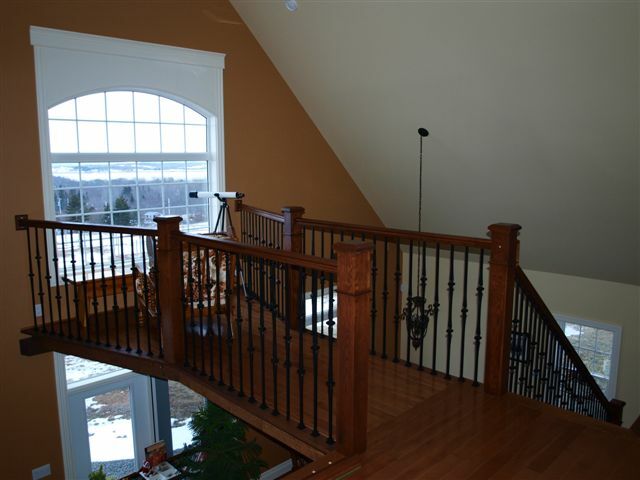 Craftsman Square Balusters in Pre-Finished White are in stock ). Add 40% To The Below Listed Prices To Get The 4-1/2 in. Craftsman Square Newels Price. Add 80% To The Below Listed Prices To Get The 5-1/2 in. Craftsman Square Newels Price.